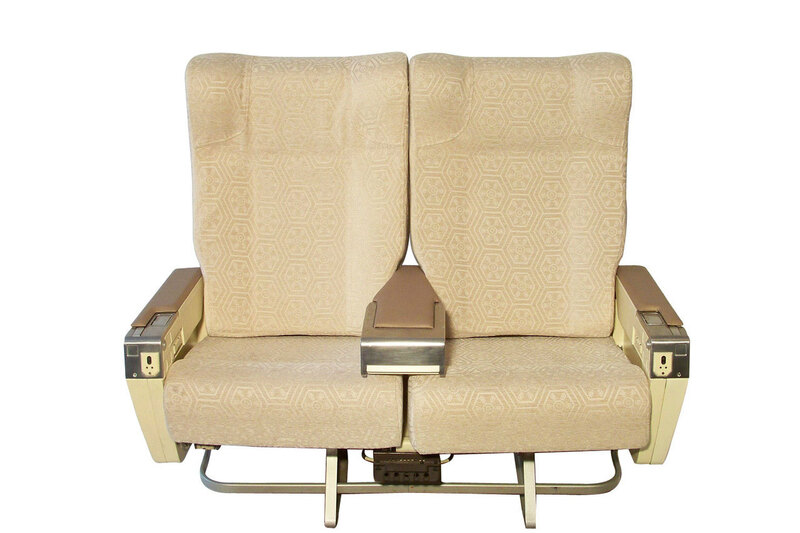 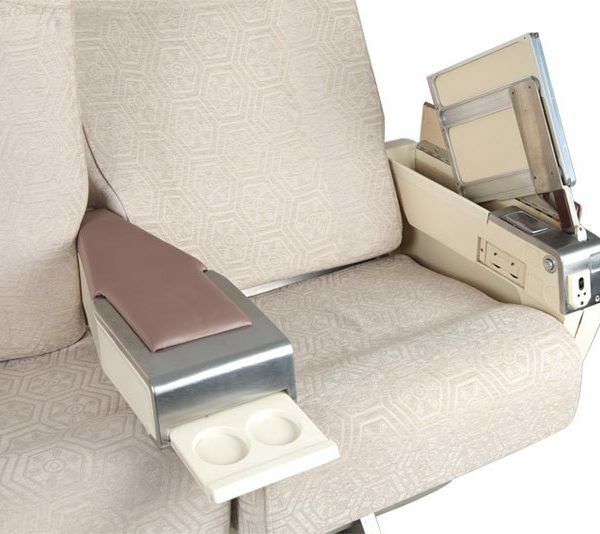 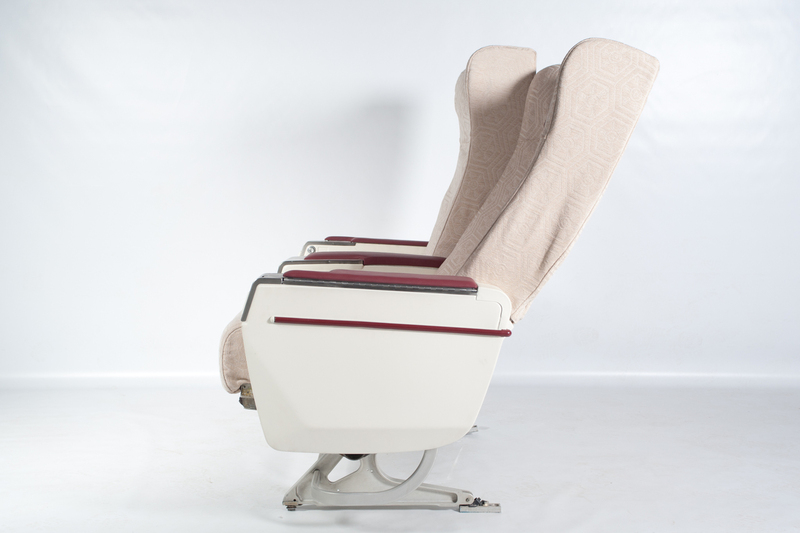 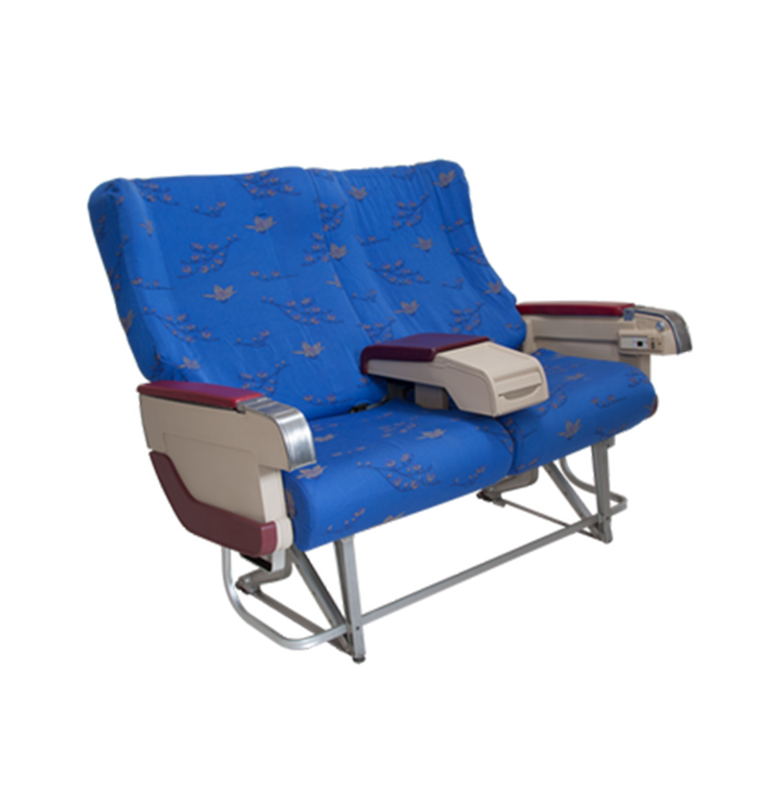 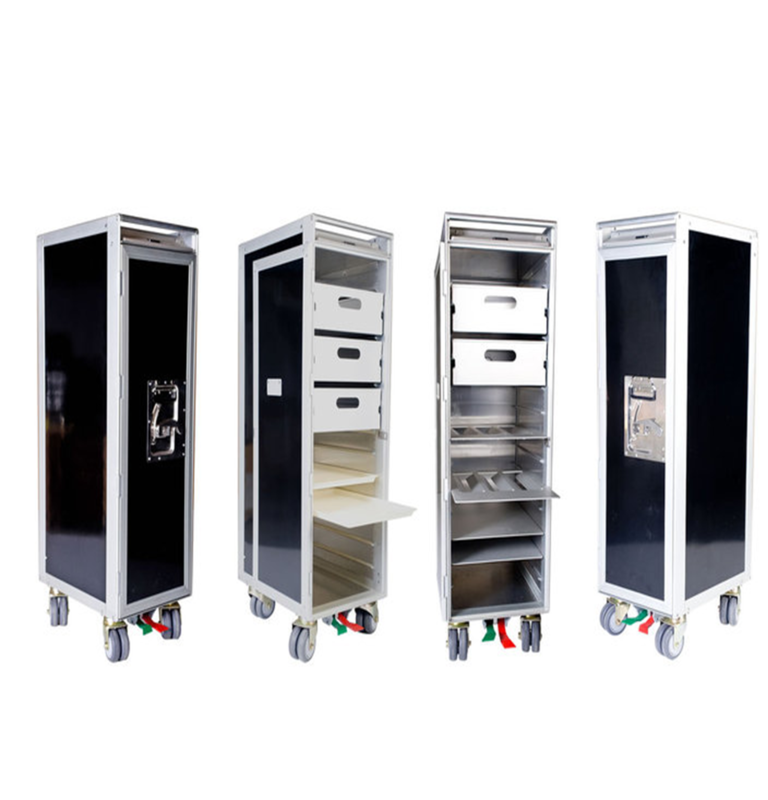 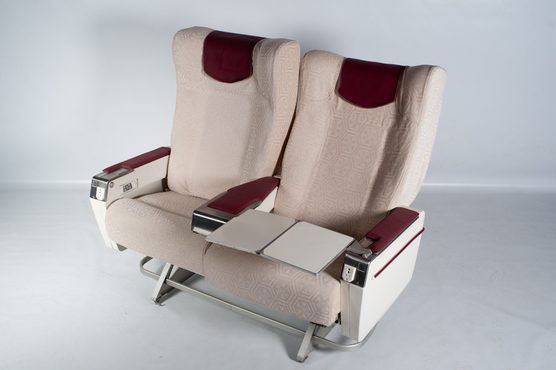 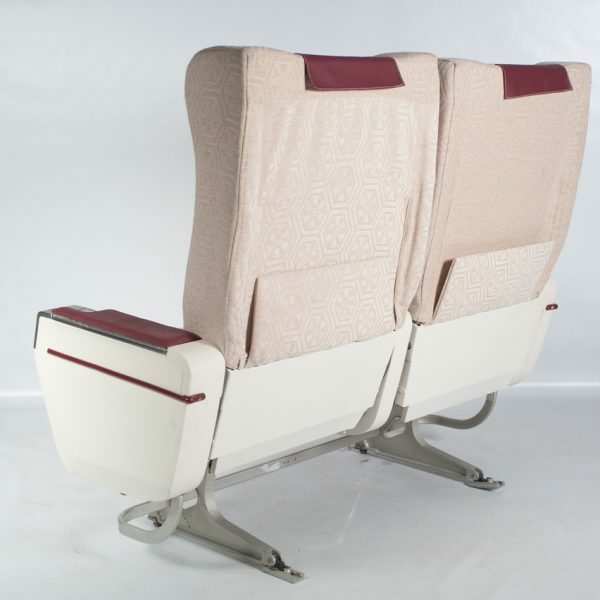 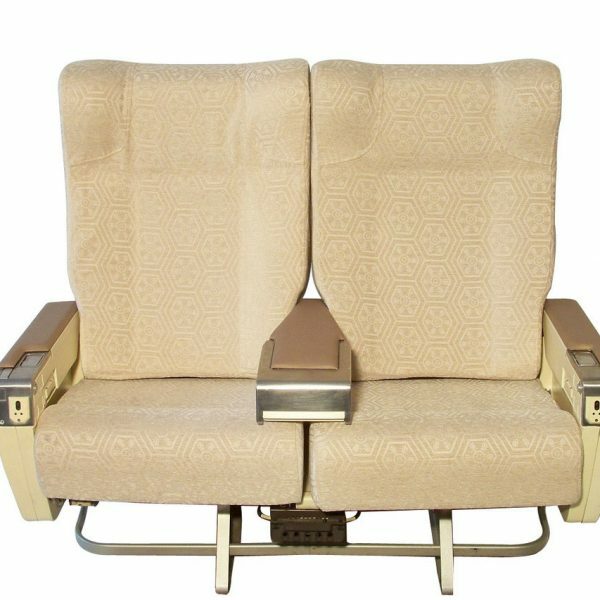 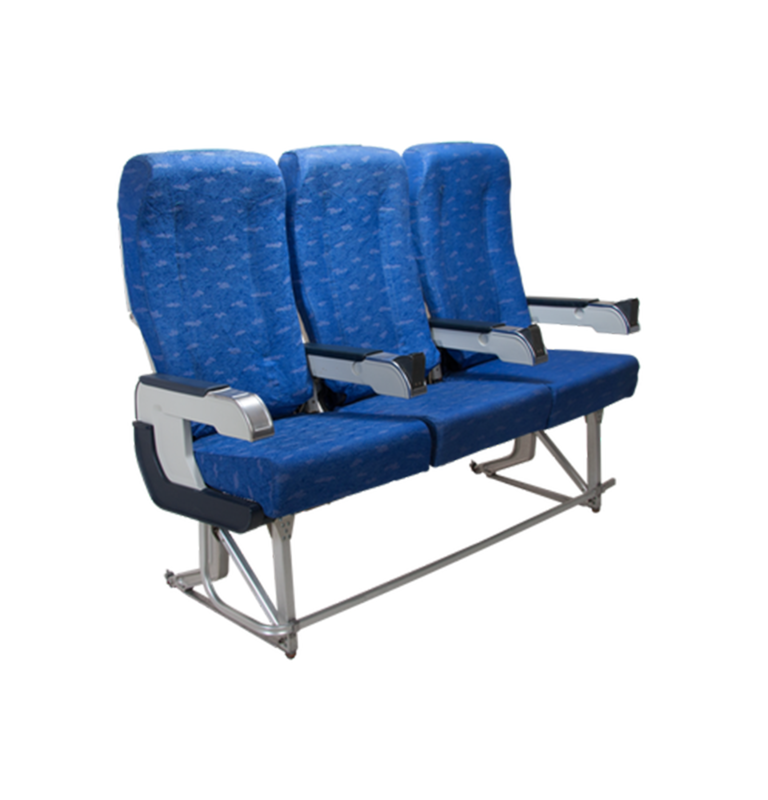 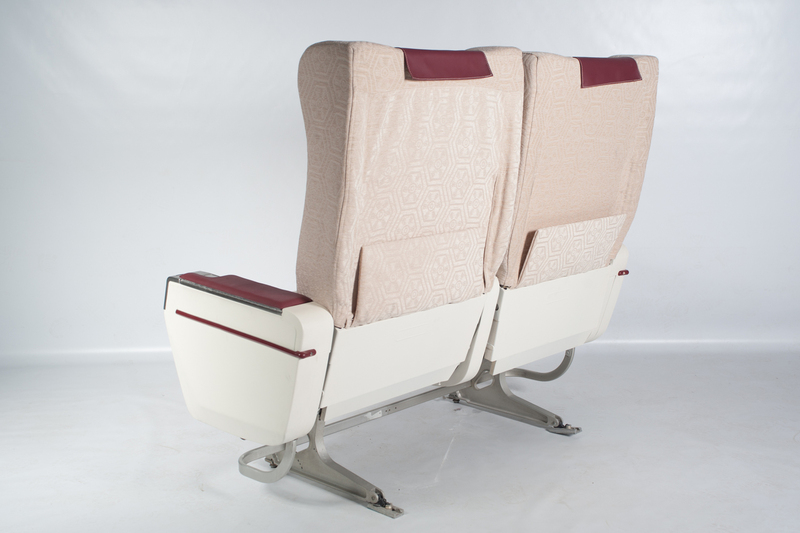 Product Description Airbus 310 – Sicma First Class Seats This set of double First Class Seats have been manufactured by Zodiac / Sicma for Airbus A310 aircraft. 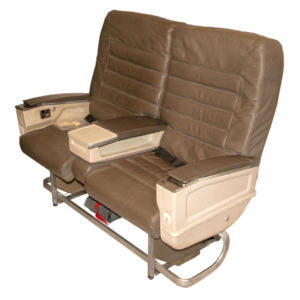 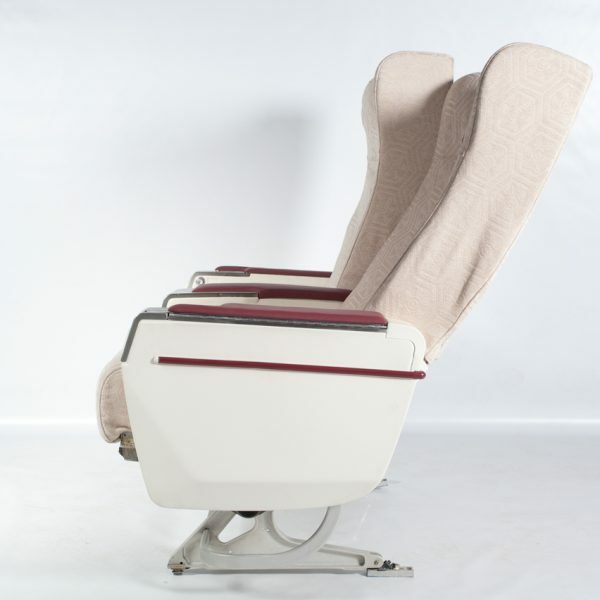 The Sicma A310 First Class Seats are truly rare vintage items as modern cabins prefer the high-tech electronic flat seats. 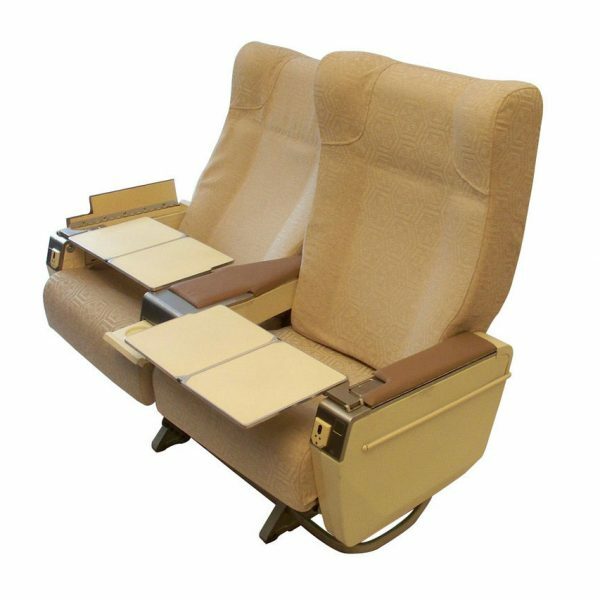 They have aviation certified fabric cushion covers. 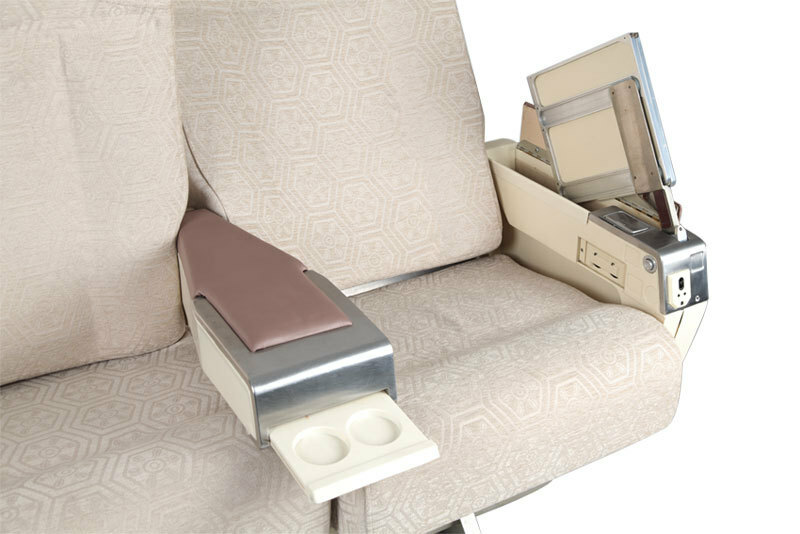 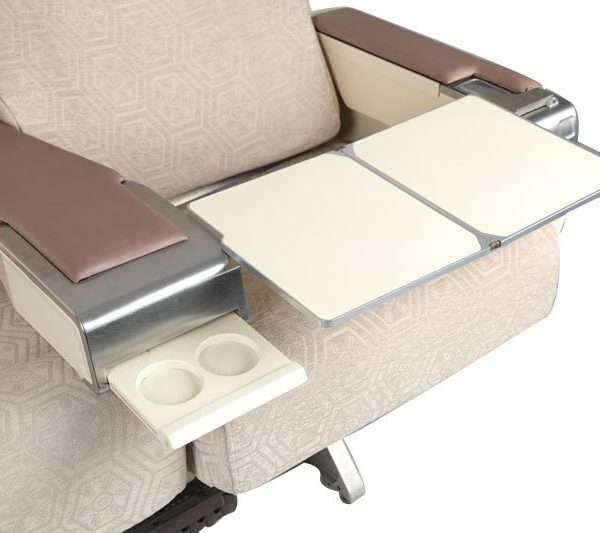 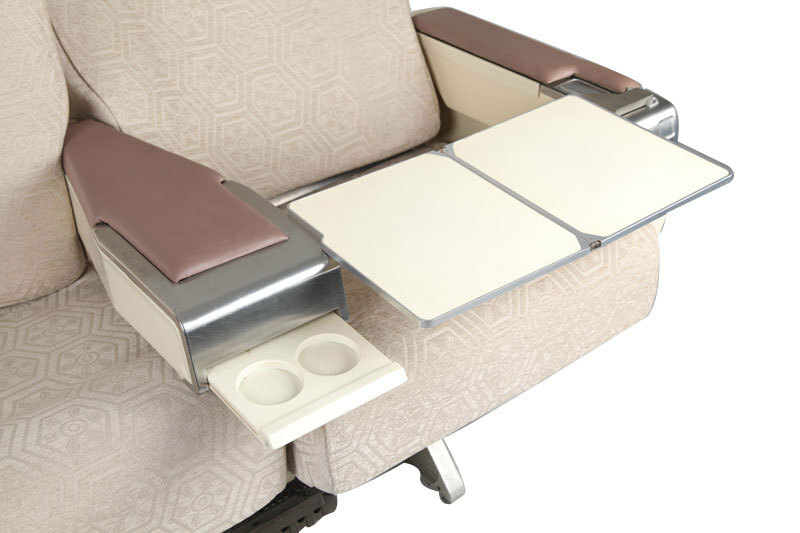 The double first class seats are extremely comfortable with manual recline controls and a foldable service tray inside each armrest. 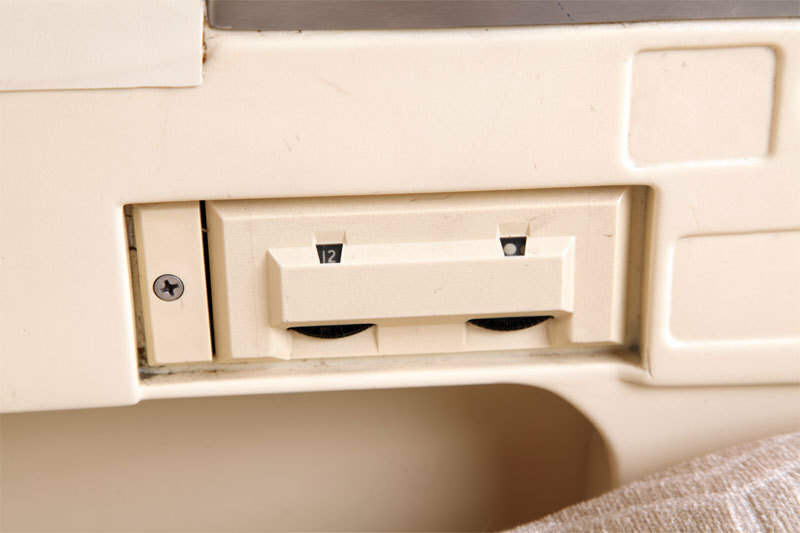 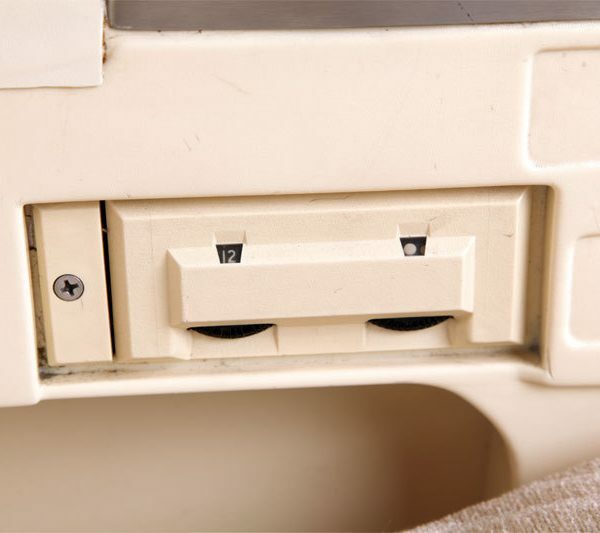 The in-flight entertainment system (IFE) cabling is still in place and intact. 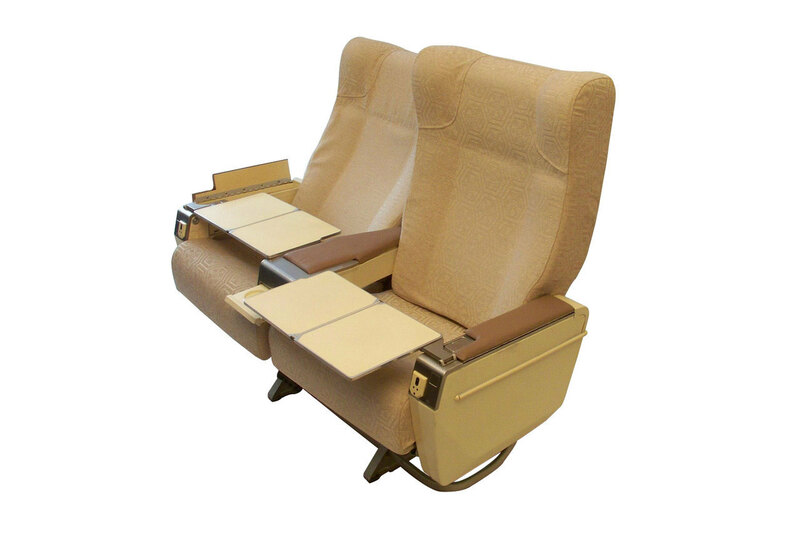 Brand new faux or genuine leather cushion covers are also available upon request an at an additional cost.